Kit King (b. 1987) is a Bahamian Canadian contemporary artist who has been the subject of solo and group exhibitions in galleries and museums nationally as well as internationally- showing throughout Canada and the US, as well as the UK, Australia, and the United Arab Emirates. King has participated in numerous art fairs such as Scope Miami, Texas Contemporary, The Hampton's Art+Design, and her work can be found in permanent collections- both private and public- worldwide. 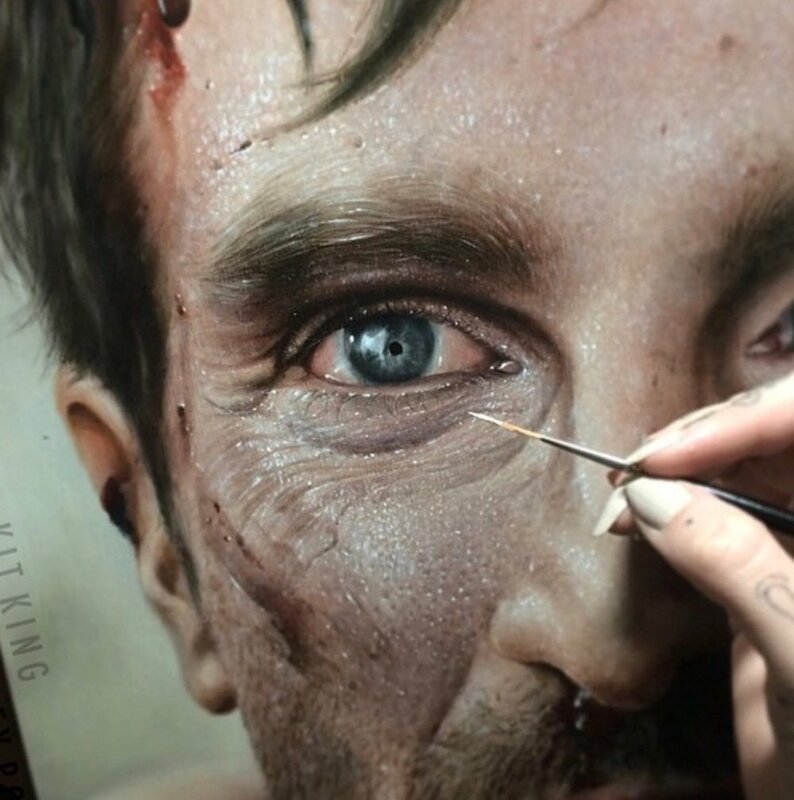 King has won several awards for her hyperrealistic portrait paintings- including being a three time people's choice winner of Canada's Portrait competition -The Kingston Prize. King creates intense, emotional, and intimate hyperrealistic works that undress the cultural layers that determine worth and shape identity within the social stratum. The subjects in King's work serve to shift the status quo and challenge norms, while deconstructing the preconceptions of the many roles within cultural levels. Often working in a large scale, her works envelop the viewer, begging them to face the subject and become a part of the narrative. Her innovative use of traditional materials pushes boundaries- often with a destructive nature that emulates the destructive nature of man. 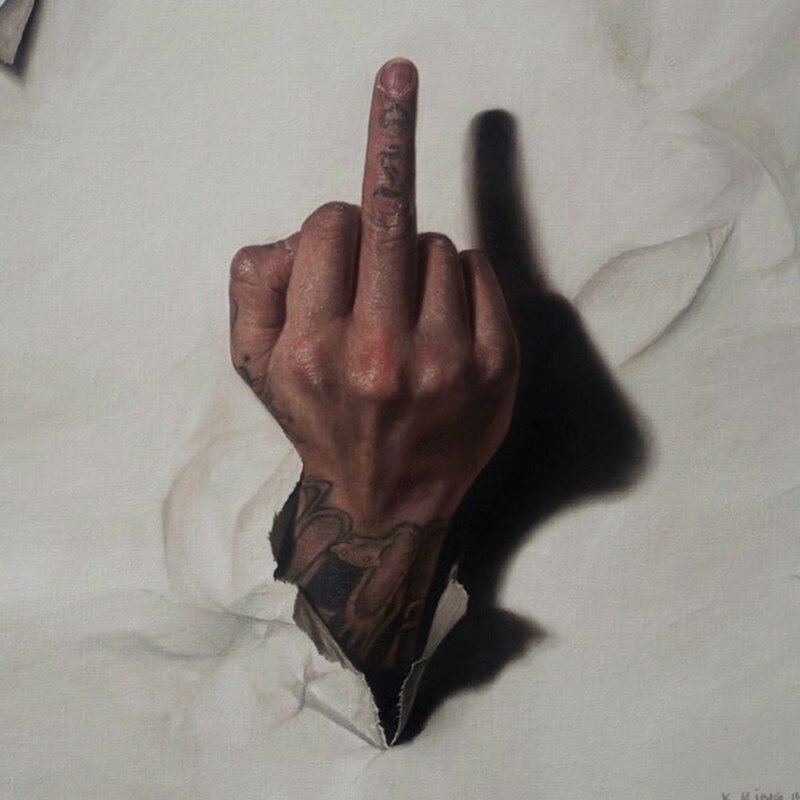 With the need to create, beckons the need to destroy, as we see in King's fully rendered paintings that have been cut into pieces and reassembled, or painted over with thick "floating" impasto paint strokes that juxtapose the smooth hyperreal painting below.